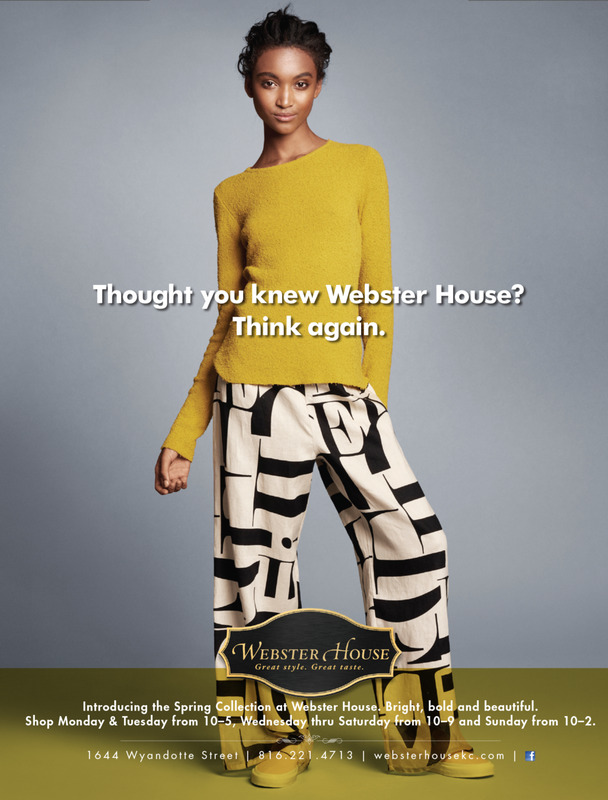 Webster House is a restaurant, bar, gift store, jewelry store, antique house, interior designer and apparel shop in one. Shirley Helzberg, a former ad agency writer herself, asked us to take on the brand and roll it out to a new generation of consumers. So far we’ve produced exterior signage, interior signage, email marketing, PR, direct mail and ad campaigns.